Marcus Smith kicked three penalties in the second half as Harlequins managed to edge out Gloucester Rugby in their Gallagher Premiership clash at Kingsholm on Saturday. Harlequins now have moved to the fourth position in the table with 13 points with Gloucester slipping to fifth. The victory also brought an end to a 11-game losing streak for the Quins away from the Stoop. A line break from Jake Polledri set up the opening try for Gloucester with Danny Cipriani scoring to take the home side to a 5-0 lead but the Quins' response came back strong with Nathan Earle capitalising on a couple of errors from the Cherry and Whites to score back to back tries in the 17th and 19th minutes. James Lang slotted the conversion on the second occasion as they had a 5-12 lead. The gap came down to just one points when Cipriani slotted back to back penalties with the second one coming after Matt Symons was sin-binned for an offside. Gloucester capitalised on the numerical advantage when Sharples crossed over for the first of his two tries before the break but Lang with his penalty at the stroke of half time ensured the teams went into the break with a 18-15 scoreline. Lang with another penalty at the start of the second half helped Quins level the scores and Smith followed the suit with two more three pointers to give the visitors a six point lead but Sharples had other plans as his second try in the 68th minute following by a conversion from Cipriani put Gloucester into one-point lead. 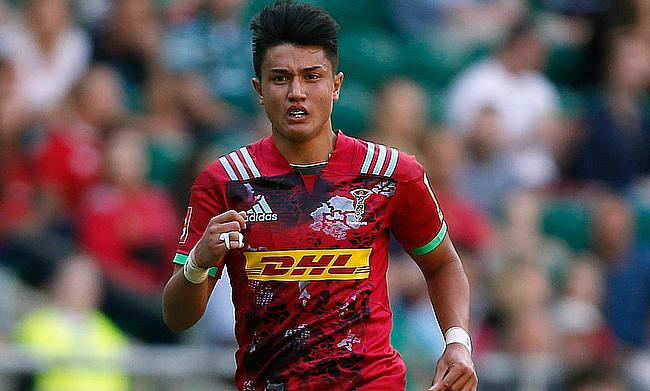 As the game was heading for a tight finish, Smith held his nerve to kick a decisive penalty goal in the 79th minute to complete a 25-27 victory for Harlequins.